Today our activity was a walking tour of the Queen Elizabeth Olympic Park with Hanna and Ray. We met at the Pret across the bridge where we started out talking about the old Stratford Center and mall. It was pointed out that the sculpture in front of the building was there in order to “class it up” a bit since it was the most drab building in the area. Who wouldn’t want to make their area look better for the hundreds of thousands of people coming for the Olympics? 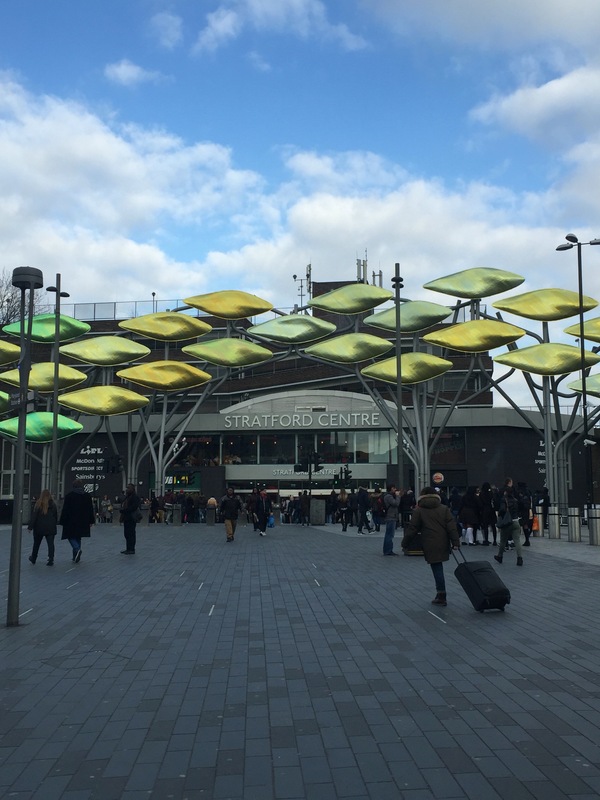 We also discussed how Stratford used to be a “brown” area in that nothing was there but obviously they changed that for the Olympics! 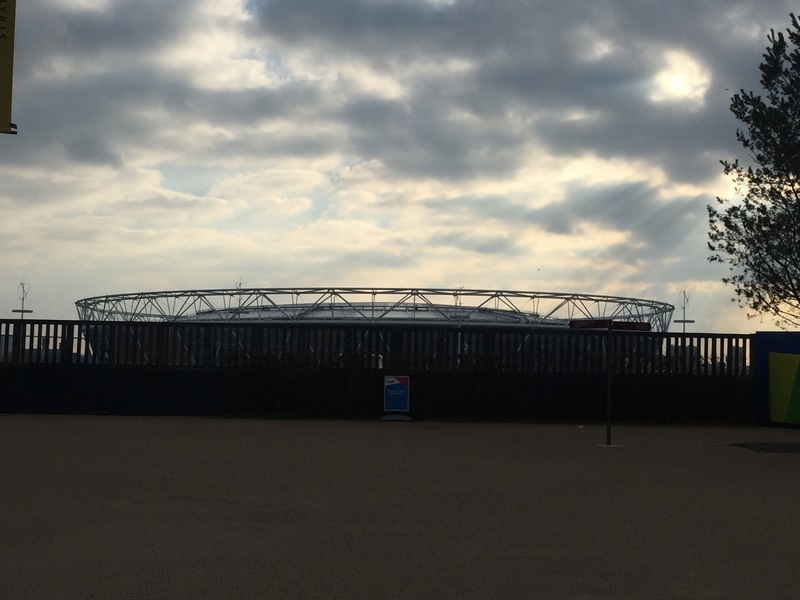 Since they’ve rejuvenated the area for the Olympics it looks rather nice and shiny. The buildings are glass and steel, modern looking and new. The shopping center across from the old one is all higher end stores, no discount ones allowed! The restaurants are a dime a dozen with lots of choices. 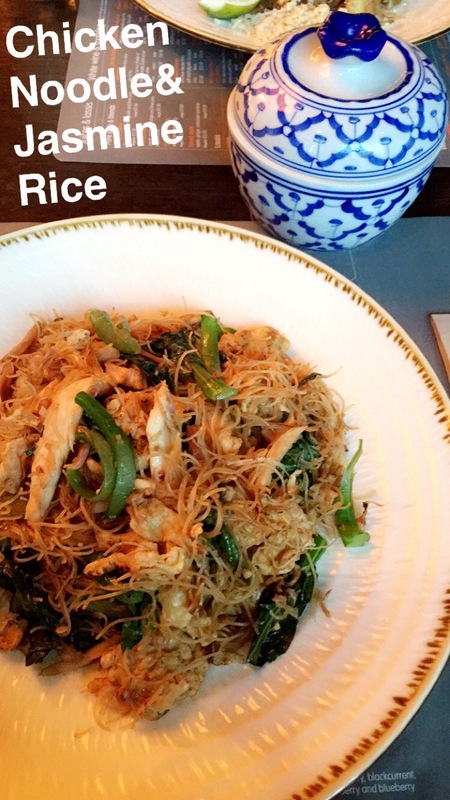 Devon and I opted for Thai food and we weren’t disappointed! This was of course after our walking tour ended so let me get back to that! On our tour we saw the stadium itself which will now house the West Ham United team who didn’t have a stadium before so that’s nice. We also saw the UK’s tallest sculpture I cannot for the life of me remember what it was called but then again that’s what google is for! 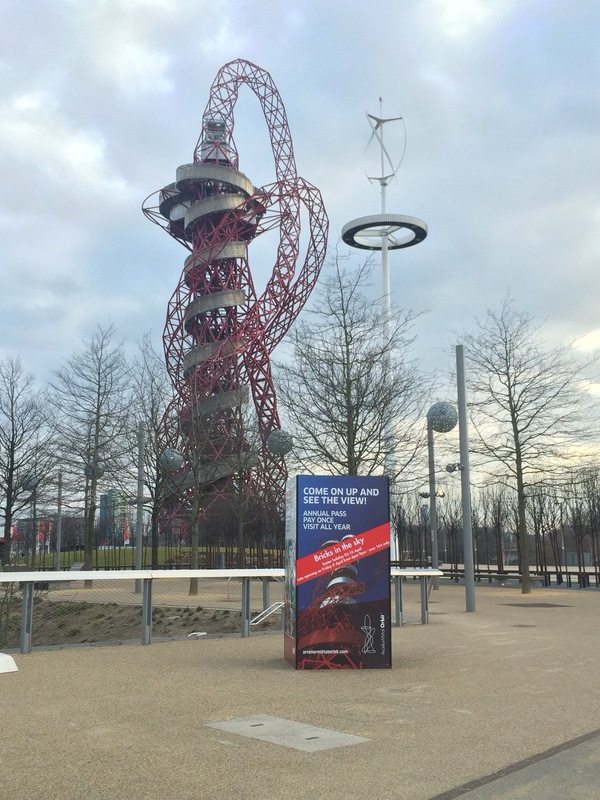 AcrelorMittal Orbit is the name, and apparently a slide is coming soon? We also saw the Olympic sized pool as well which looked rather chic and fancy. I really enjoyed our last stop on the tour. 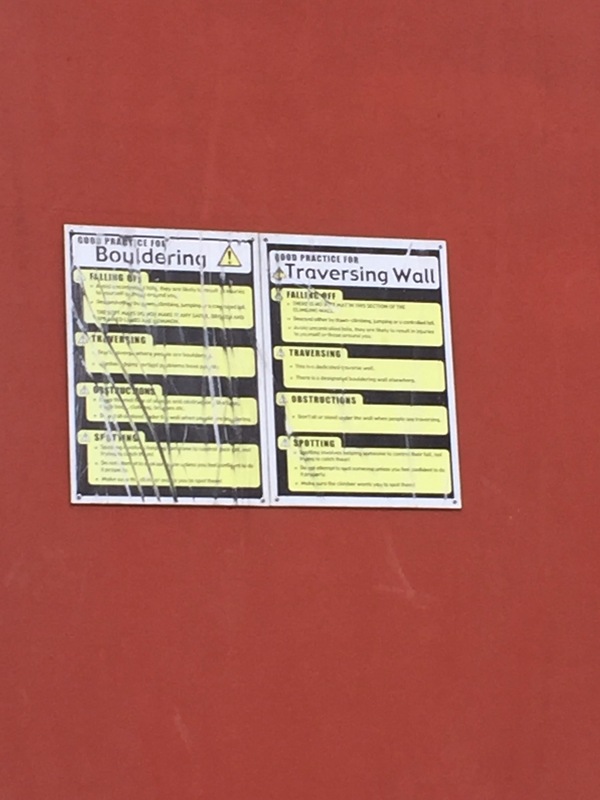 It was the bouldering wall or traversing wall, my favorite! We had a “competition” to see who could get up to the top the fastest. I say competition because it may have not been the most fair, one person stubbed their foot, another person rolled over the top and I scrambled up and won. 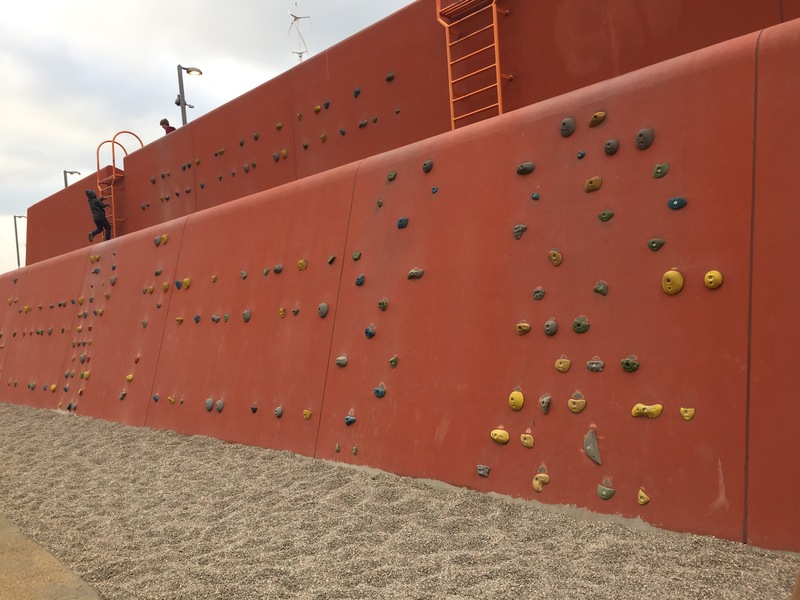 Thanks Castle Rock for the climbing skills and deftness, as Devon said “I scaled that ship”. Dinner was a Pad Thai + a Mango Lassi for Devon, while I got Chicken Noodles and a Guava Collins and a side of rice since I was in the mood rather than sweet potato fries. 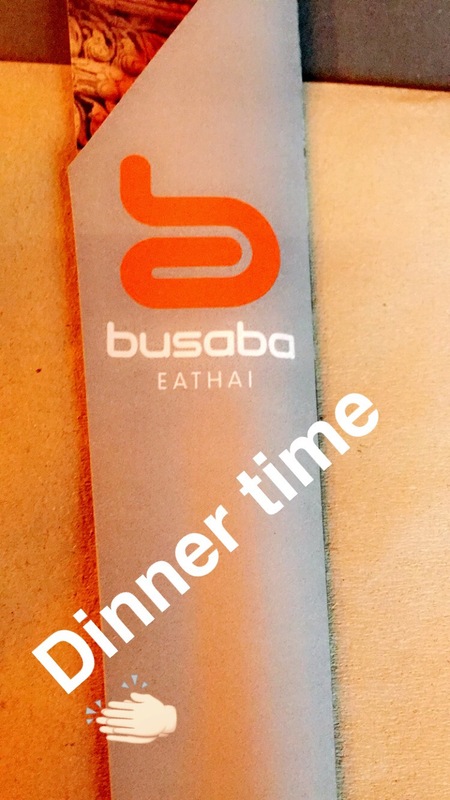 We went to Busaba a chain Thai restaurant for the special Wednesday deal. It was 9.99 pounds for a main dish, a side and a drink. I was all for it since the Pad Thai alone was 9.50 :O The food was amazing though and I hope to find a closer place to go again! Today was really productive outside of the fun romp around the park. I submitted a midterm, finished a paper and did my second assignment for my health course! Plus I even did yoga, I felt very accomplished today! On that note I’ll be blogging more tomorrow about my weekend plans which will be exciting! Until then! Earlier this week, aka yesterday, I had the privilege of introducing two of my study abroad friends to Thai food. The one downside, I’m not a local so I don’t know which restaurants are the best and which are perhaps not the most flavorful. 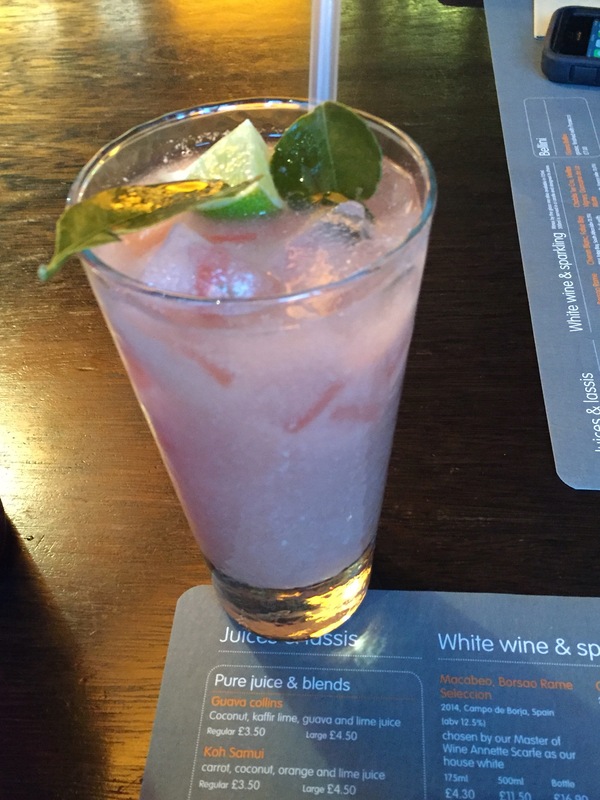 The restaurant we decided on was called Paolina Thai Cafe and Restaurant. It was about a 5 minute walk from the housing and a ten minute walk from our classrooms. We had read online that it was a small venue so reservations were recommended. We reserved a table and were promptly seated once we got there. The menu prices were pretty affordable considering a Pad Thai dish was only 6.50 pounds which was about $9.30. Both Devon and I ordered Pad Thai, Andrew ordered a chicken dish and then he and I both ordered rice while Devon ordered spring rolls. The Pad Thai dish was rather large and I couldn’t finish it or the rice so I had breakfast for the next day (that was today). The Pad Thai dish itself wasn’t my favorite and I had read a review saying how the dish wasn’t anything amazing and it definitely wasn’t up to my usual standards. Overall though, for what you paid, it was a fair price and I’d go back again to try other dishes for sure. Catch up with my time abroad in my next post!